On the theme of substituting alternative wall finishes for plaster here is a large brick fireplace that looks absolutely stunning with a wood burning stove and adds a bit of ‘wow’ to any room. 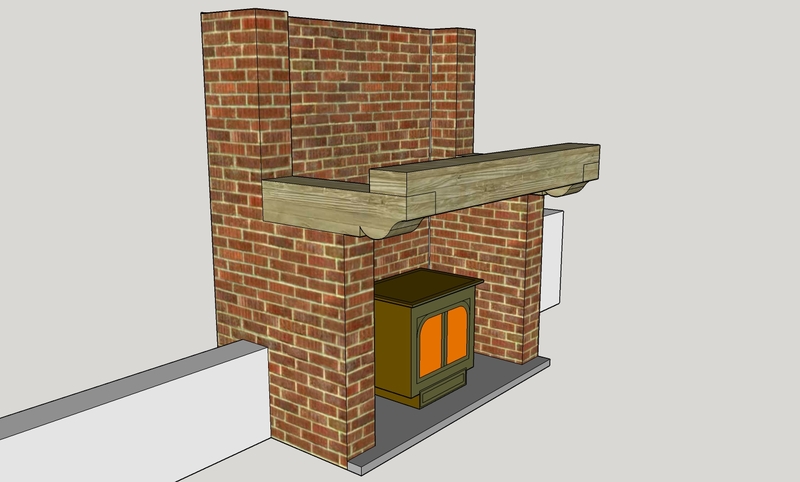 Shown here, part finished, the brick construction is a structural part of the house with the essential offset from the main wall allowing the exposed brick to be part of the room behind. You were going to build a wall anyway so here a little bit of thought yields an expensive looking fireplace doubling up with a characterful wall on the other side. Perfect fireplace for a wood burner. 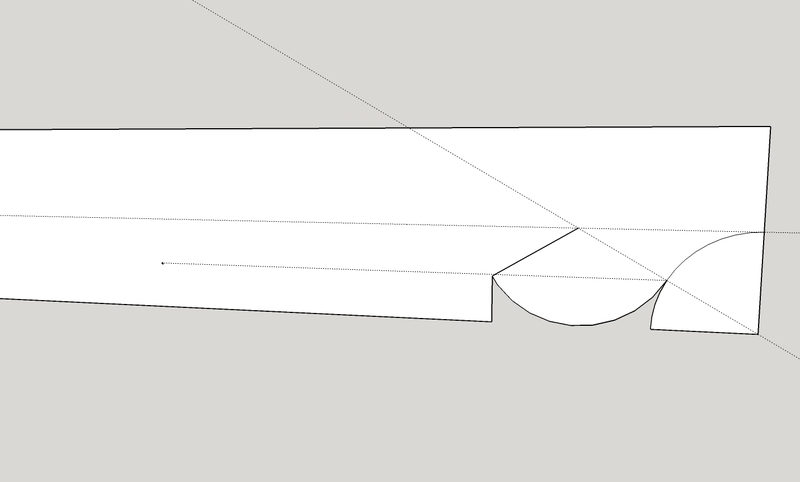 A few dimensional suggestions: The front buttresses are 225mm or one brick wide and thus the wood sections are 225mm square. The width between buttresses of 1.6m gives room for logs to be stacked by the stove and the 1.5m height between the floor and the main cross beam works well. Draw a centre line, mark the radius from the corner, draw a 30 degree angle from the corner, the big curve follows from the centre line intersection. You might be going to use a flexible flue and this will need supporting above the stove. A steel ladder frame that can be slid forward and back a bit will make lining up the stack and the stove really easy. Between this and the stove fit a removable flue section to make cleaning easy. A big stove like the 14kW Clearview shown here is best connected to water or it will make the room far too hot. To get a simple gravity feed put your tank on the other side of the wall and inside an airing cupboard. That’s another lot of plastering avoided and the core of your heating system done. BTW – I’m happy to advise on tanks and stoves and to supply them too. There’s a contact form below. P.S. Here is a 2m wide version drawn with the non plastered wall theme – i.e.with low cupboards that can incorporate the DIY fan-coil heater. ‘Dream House – Down To The Details’ 101 things you should have thought of. For more straight thinking, this time on heating, have a look at the ultimate Eco heating system which integrates heat pumps stoves and solar.